The filesize is that much because it includes 2x the interfac.drs file to take affect the fix. is AOK 2.0a is higher version than Conquerors expansion because AoC has 1.0c & 1.4 UP. hello, this patcher is only for the non expansion "The Age of Kings" - latest patch from ensemble studios for age of empires 2 the age of kings was patch 2.0a. this patcher has nothing to do with the expansion the conquerors, this patch is only for people who want play the non expansion in widescreen. This mod does EXACTLY what it says. It installs a patch on your Age of Kings game and makes it widescreen. Simple and fast. The instructions are pretty clear and to the point. I definitely recommend this mod, it is completely working on my 1366x768 monitor. 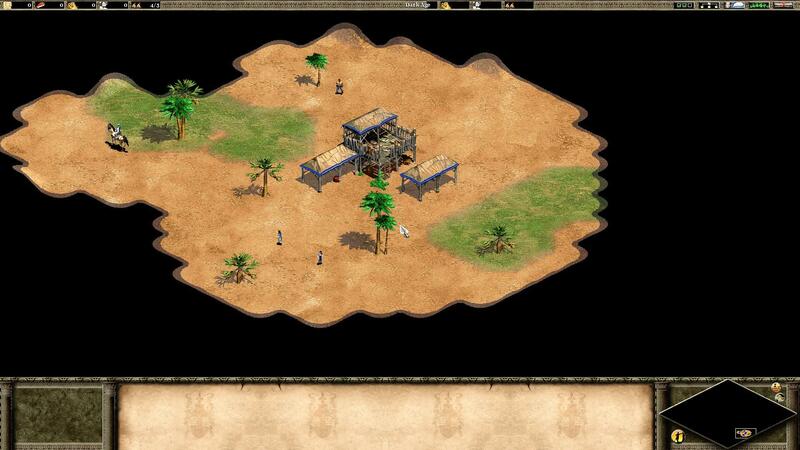 It puts the original game (empires2.exe) in Widescreen resolution. Fast and easy to install. I love it, thank you! It worked on my 1366x768 monitor. thank you for the review, glad it worked. easiest way is to run the exe as admin, otherwise apply the START.bat after extracting the files into the install folder. Hey, cant get it to work either. "installed" it but all it did was create a folder in the AOE2 folder with no change in-game. i can open the SETUP.bat (there is no START.bat) but thats also not working. 2.0a is installed and i did the "usual" fixes like reboot and stuff. is there something im missing or is it just my pc thats weird again?